Recently, a study has found that laughter-based physical activity or exercises could help in boosting the mental health of the senior citizens. 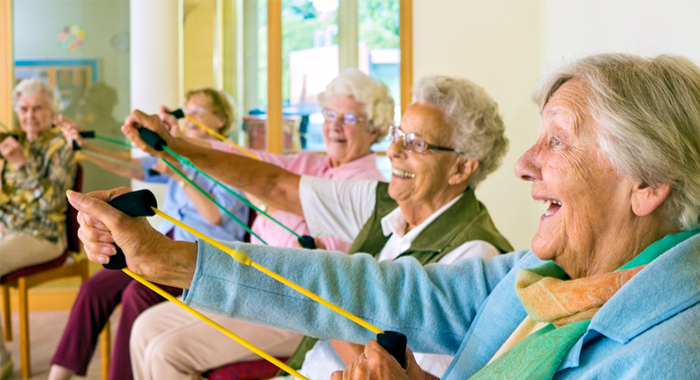 Other than that it also enhances their aerobic endurance and confidence in their capacity to physical activity.Older adults took part in a moderate-intensity group exercise program which was called as ‘LaughActive’, during the study. 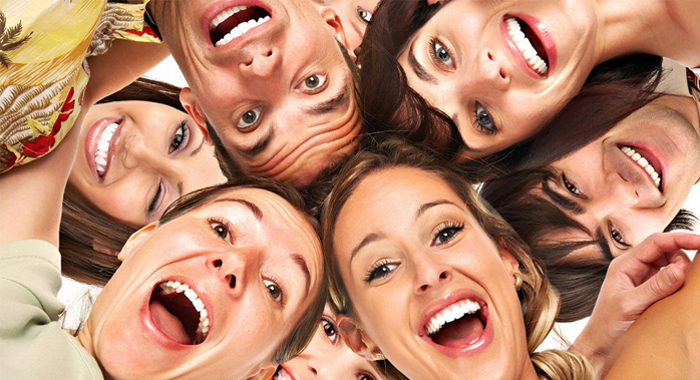 The ‘LaughActive’ program incorporates playful simulated laughter — self-initiated as bodily exercise — into a flexibility, balance and strength workout. 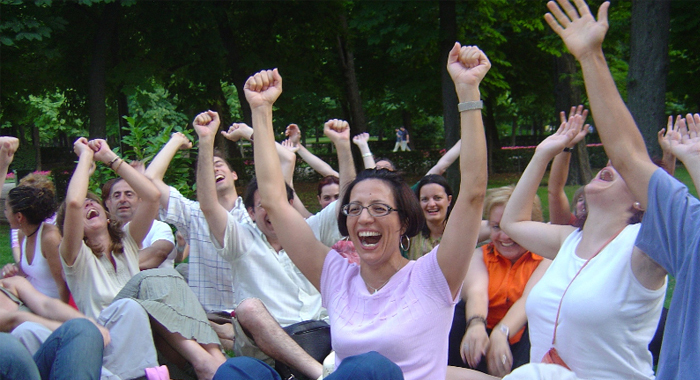 The conclusions revealed that simulated laughter could be a perfect way for older adults with cognitive or functional impairment.Moreover, notable improvements were also observed among participants in aerobic endurance, mental health and outcome expectations for exercise.Around 96.2 per cent members found laughter to be a pleasant addition to a regular exercise program. There was about 88.9 percent who claimed that the laughter helped make exercise more accessible. Yet another 88.9 percent detailed the program intensified their motivation to participate in other training activities or classes. Lead author Celeste Greene, who is a graduate student at Georgia State University says that the combination of laughter and exercise may motivate older adults to begin exercising and to stick with the program.Most of the adults do not get engaged in any sort of physical activity to achieve health benefits, despite the risks of physical inactivity. 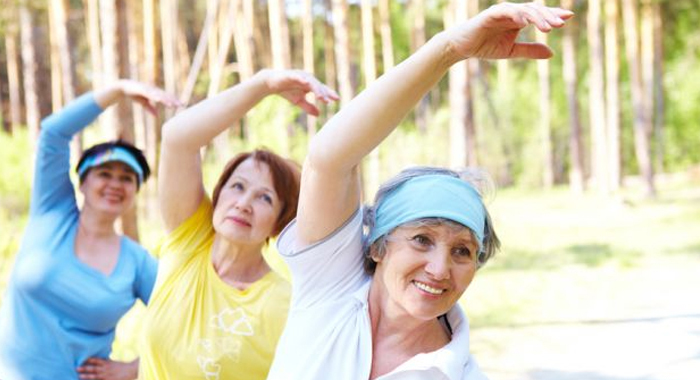 Even a few minutes of physical activity each day could help in attaining health benefits. The researchers say that sustaining the motivation to adhere to regular physical activity is a big hurdle for many older adults. According to the US Department of Health and Human Services’ 2008 Physical Activity Guidelines, adults should engage in a minimum of 30 minutes of exercise/physical activity at least five days per week so as to achieve good health outcomes.Lower mortality and decreased risk of chronic conditions are some of the health benefits that you may enjoy by doing the exercises regularly. The chronic conditions may include diseases like stroke, breast cancer, coronary heart disease, Type 2 diabetes, anxiety, high blood pressure, metabolic syndrome, osteoporosis, colon cancer, and depression. If you do exercise or some sort of physical activity regularly, it reduces the influence of age-related declines in aerobic endurance, the occurrence of falls and hip fracture and the degenerative damage of muscle mass, strength and quality. All of these advantages are crucial in older adults maintaining their capacity to perform activities of everyday living. The researchers, in the paper published in the journal ‘The Gerontologist’, noted that the pleasant connections with laughter may combine enjoyment with an exercise program and maintain older adults motivated to work out. scientifically shown to strengthen and relax muscles, the deliberate laughter exercise was included into the workout routine after every two to four flexibility, strength and balance exercises.